0 Comments Published by KL Ocs Kid on Thursday, July 1, 2010 at 6:37 PM. The former Liverpool captain Phil Thompson believes the appointment of Roy Hodgson as manager can signal the beginning of a new era at Anfield. Hodgson was confirmed as Rafael Benítez's replacement on a three-year contract this morning after the finer details of his severance from Craven Cottage were finalised. Thompson, a European Cup-winning captain with the Reds, now hopes new owners can also be found so the club can move forward after a period of stagnation under Tom Hicks and George Gillett. "We need the sale of the club sorted to enable us to really go forward," he said. "I just hope it won't be too long before that's done. With a new boss and new owners it really would be the dawn of a new era." Thompson, who was assistant manager during Frenchman Gérard Houllier's reign, believes Hodgson will help bring stability to Liverpool. "After having foreign managers in Gérard Houllier and Rafa Benítez, it seems there was a thought process of going back to British," he added. "The club needs a steadying influence and Roy will provide that. "He's done a fantastic job at Fulham and has a wealth of experience having managed all over Europe. This is one of those jobs Roy had hoped and prayed for and it's a fantastic opportunity for him." Thompson admits Hodgson's appointment will probably not be wholeheartedly welcomed by fans but he urged everyone at the club and supporters to get behind the new man. "The big thing now is to get everyone on board comfortable with his ideas and visions for the football club. He has to unite everyone," he told the Liverpool Echo. "All summer there have been rumours about players going, but he's only just arrived and he won't want anyone leaving. "He's a shrewd talker and I'm sure he will find the right words and the right manner to speak to players and convince them to stay. He will want to build for the future around Steven Gerrard, Fernando Torres and Javier Mascherano. "If – and it's a big if – players are sold then that cash has to be reinvested in the squad, and not go to the banks to pay off debt. No matter what you say about Rafa Benítez, he wasn't helped in that area. 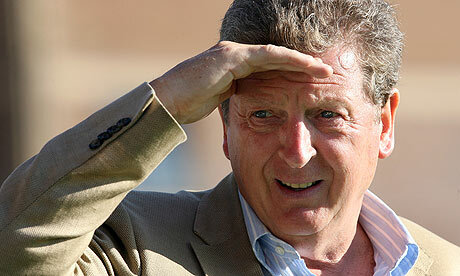 The board have to back Roy financially."